Do you enjoy birthday parties? Getting together with friends and having good food to eat, mucking around, playing games and just having girly fun. I love it! Yes, that's right. On Saturday evening, the long awaited birthday party that I'd been planning and preparing for over five months, finally came. 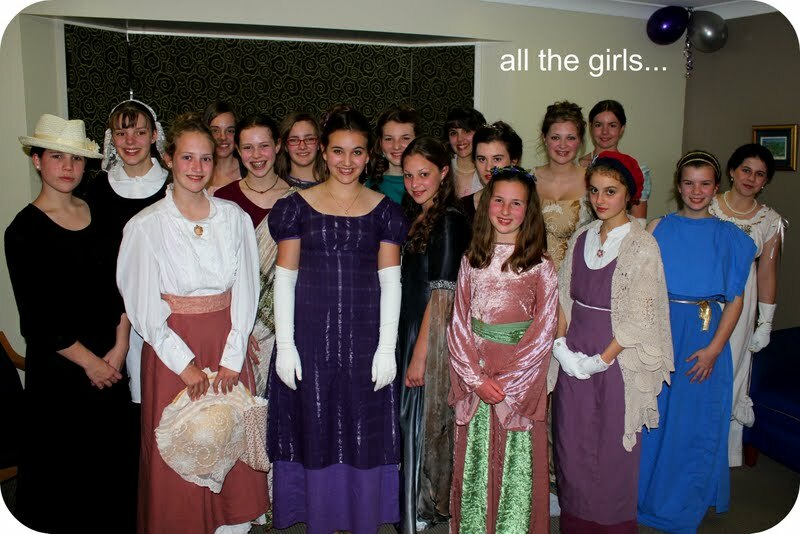 The special 13th birthday party, approaching teenager hood, with sixteen other girls to help celebrate and encourage you. It's got to be a little more than just special. 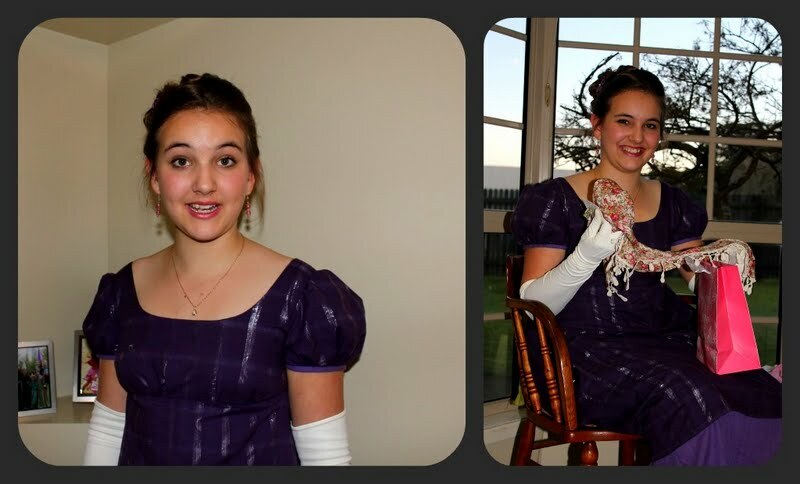 The theme of the party was to dress up in any costume from any period in history before the 20th century! I was completely amazed at the effort and time the girls had put into their outfits. They looked stunning! I myself, had chosen a 'lizzy bennet' inspired outfit from the regency period. Actually, our friend Jessica came over and did India's and my hair in the style we wanted from whatever period in history we had chosen. She is so talented and did an amzing job! india in her greek costume and hairstyle. beautiful! those girls crack me up! around the piano listedning to the amazing imogen play! 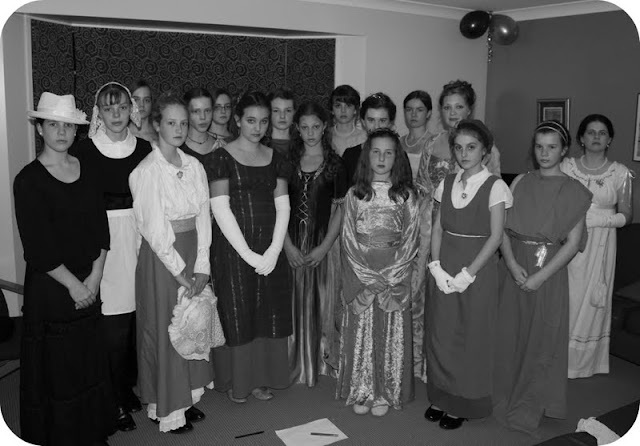 Looks like you and your friends had heaps of fun. I love all the costumes! HAPPY BIRTHDAY Holly for the day! 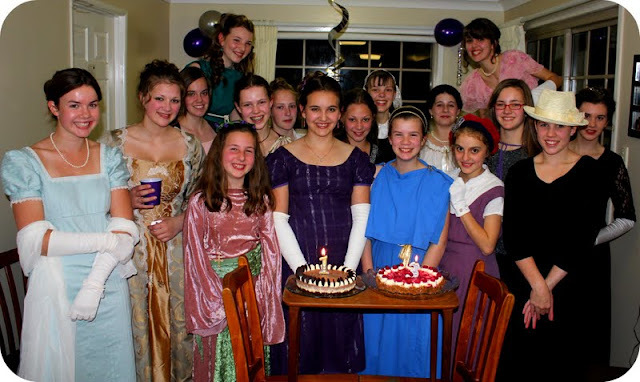 I know JUST what it is like to be turning 13, as I am 13 of a few months. Hope your year is a blessed one. P.S. 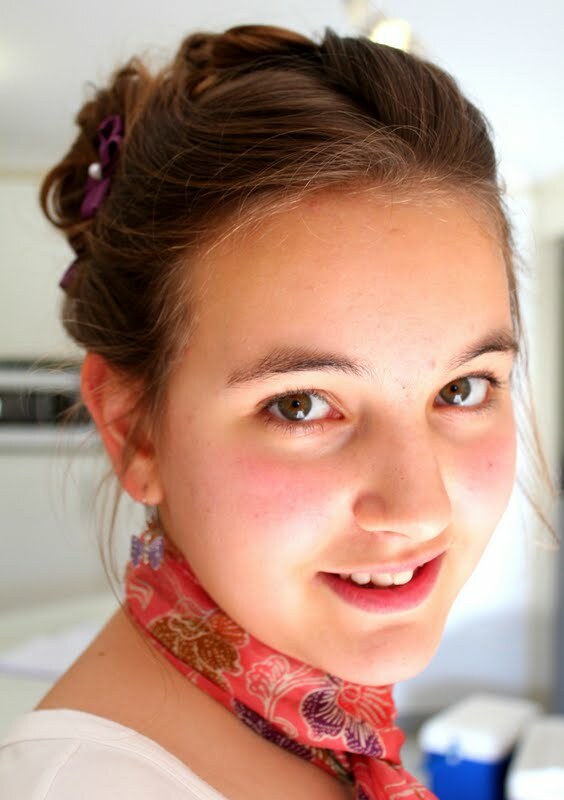 I am the younger sister of SARAH, from ISLA CREATIONS. 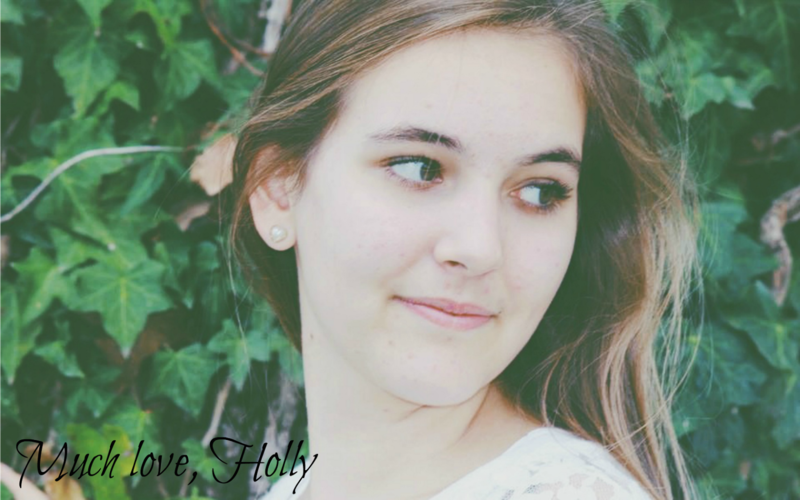 Happy Birthday, Holly! It looks like you had a great time, and I LOVE all the outfits! Everyone did such a great job dressing up! :) The cakes are pretty cute, too.